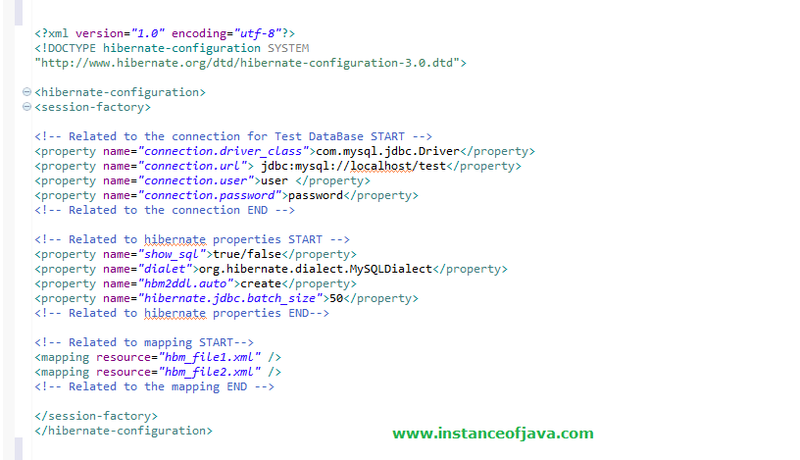 This property hibernate.dialect makes Hibernate generate the appropriate SQL for the given database. This property hibernate.connection.username specifies database user name. This property hibernate.connection.password specifies password.